Wondering if your town is safer than the one down the hill? Now you can find out after the UK's crime information has been put on a map for the public to peruse. The Home Office, along with the National Policing Improvement Agency, have put the crime info onto a website, allowing people to feel a little more confident (or, presumably, scared) about the areas that they live in. The site has been inaccessible for us since its launch but, when it's working, you can look at the data at http://maps.police.uk. You can apparently zoom in on the map and find out about the crime levels, comparisons to the national average and compare it with last year's figures. "Crime maps are a key part of delivering neighbourhood policing and giving communities access to information like this not only improves public confidence but ensures police are responding to local people's needs, said Policing and Crime Minister David Hanson MP. "We know the public want this information, which will allow them to hold the police to account and help create an even more responsive and effective service." 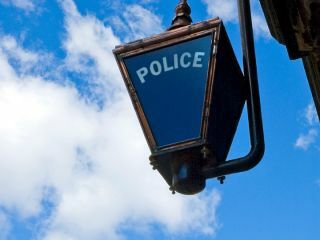 Steve Mortimore, deputy chief executive of the NPIA added: "The national Crime Map is a vital step forward in giving the public more information about crime in their areas to increase confidence in the service they receive from the police. "Fear of crime is known to outstrip the reality. The Crime Map will give people the facts about local crime and what forces are doing about it. "It is a crucial way of improving the efforts to tackle local crime, since communities that are involved in policing help reduce crime and bring more offenders to justice." If the site actually loads of course; maybe someone stole their servers.